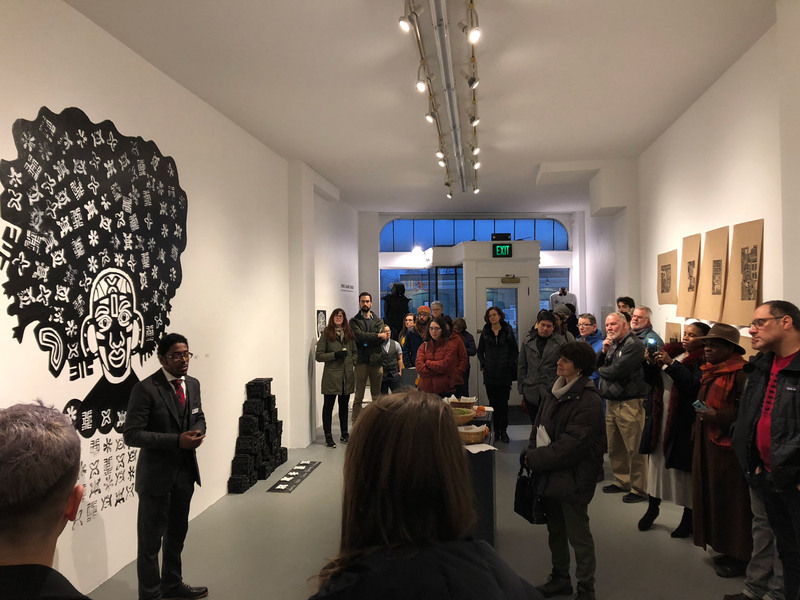 Andie Jairam gives a talk about his exhibition Kweku Anansi Fables, April 2018. As we near the end of 2018, it is once again time for us to ask for your support. Whether $1 or $100, every dollar counts! To make a gift of any amount, use the button below, or donate by check to “El Museo” at 91 Allen St, Buffalo, NY, 14202-1320. Prefer making smaller, recurring donations? Just enter your desired amount and select ☑️ Make this a monthly donation. You can change or cancel at any time. Plus, you’ll receive membership benefits at the corresponding level! 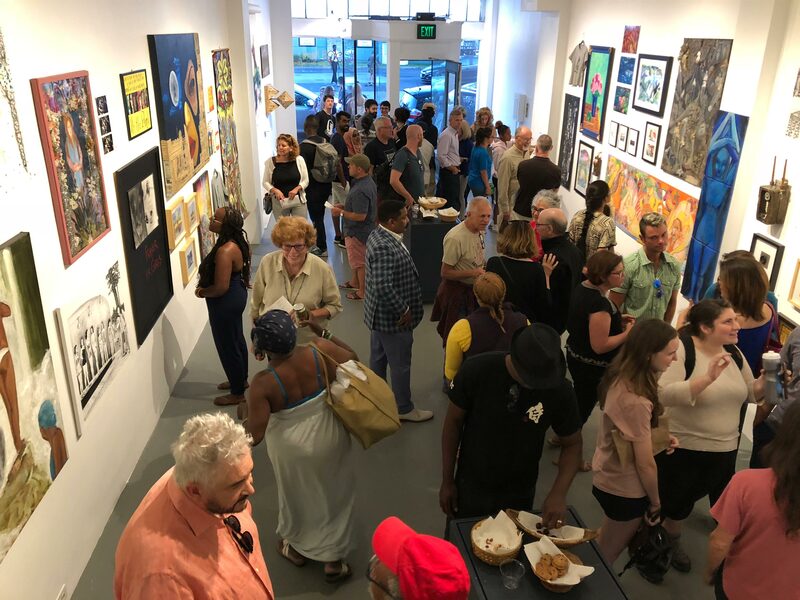 Opening reception for Members’ Exhibition #3: BIG TIME, July 2018.